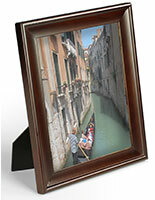 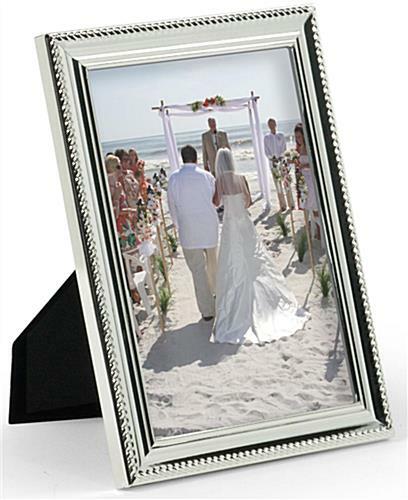 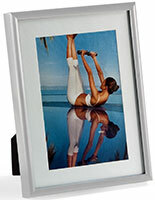 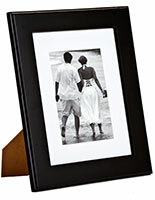 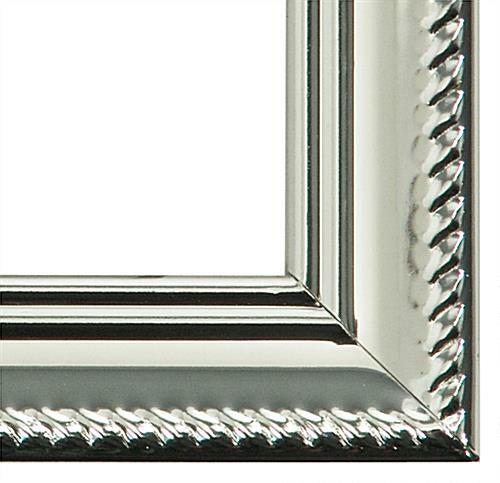 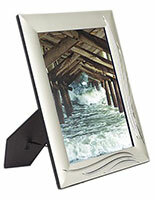 This decorative picture frame is sized for 5" x 7" photos and features a silver finish design. 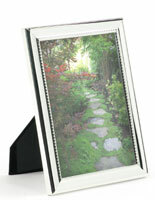 The backer with stand-up easel is covered with black velvet and slides in and out of the frame. 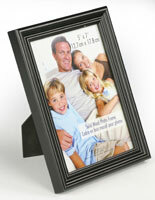 Display the picture frame in either portrait or landscape format. 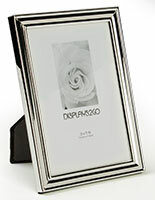 Design for Tabletop use only. 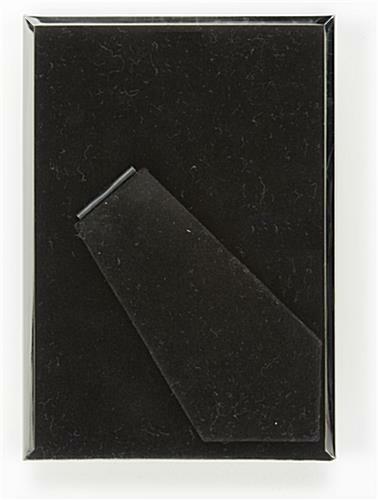 6.1" x 8.1" x 0.375"